Glimmer your way into your day! Are you ready to show the world you’re awesome eyes? 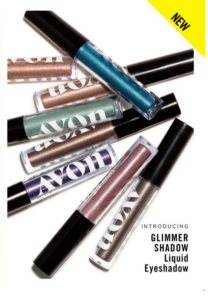 Avon’s new Glimmer Shadow Liquid Eye Shadow comes in eight brilliant shades and two pearly finishes and is infinitely glam. This silky, lightweight water-infused butter base blends easily and dries down smoothly. It’s buildable from a sheer wash of glistening color to a glittery wow. Paraben-free. It provides: Stay-All-Day Shadow, No Smudge, and no crease. Regularly $8.00 – Just $5.99. And if that isn’t enough be sure to check out the New Metallic Liners to add some extra glam to your look. Then you will have the look that everyone will by envious of. With True Color Glimmersticks for Eyes and Brows you will get 10 hours of shimmery color. Long-wearing and retractable they are also available in Waterproof and Diamonds. A fantastic deal at just $2.99 each. For the perfect foundation for your glamorous look, don’t forget to take care of your face starting with the Anew Ultimate Supreme Dual Elixir. With the Dual Elixir you get two innovative formulas that combine for one supreme elixir that is bound to create the perfect palette. The serum is a unique blend of Tahitian Black Pearl Extract to enhance your skin’s moisture. The oil is a luxurious blend of precious oils known for their skin-smoothing and firming benefits. So now you can be a glittery awesome you! 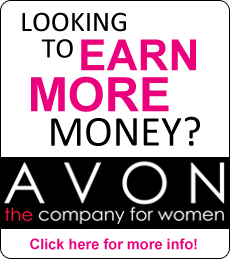 So be sure to check out this great new product and all the great new liquid eye shadows, you won’t be disappointed.